Filed with the U.S. District Court for the Western District of Texas, Uniloc's latest attempt to extract damages from the tech giant leverages a single patent first filed with the U.S. Patent and Trademark Office in 2000. Invented by Jonathan Griffiths, U.S. Patent No. 7,136,999 for a "Method and system for electronic device authentication" details techniques of creating a secure environment for transferring data between two devices. In particular, the IP covers methods of providing authentication over a variety of wireless protocols including Bluetooth. The IP has changed hands multiple times since its filing in 2000, first from Griffiths to Philips Electronics that same year. It was assigned to patent aggregator IPG Electronics 503 Limited in 2009, then on to Pendragon Wireless in 2012 before landing in Uniloc's coffers in February 2018. Uniloc Luxembourg subsequently assigned the patent to Uniloc 2017 LLC in July. Uniloc's U.S. licensing entity, with the recently formed Uniloc 2017, is leveraging the patent-in-suit against Apple and AirDrop. Introduced alongside OS X 10.7 Lion in 2011, AirDrop is a first-party ad hoc protocol designed to simplify the process of transferring large files from one device to another. Initially developed to connect two Macs over Wi-Fi, the service first appeared in the OS X Finder. Running AirDrop allowed two Macs to quickly create an ad hoc connection without need for passwords or complex network configuration. Simple drag-and-drop functionality made the system a more attractive alternative to direct link, cloud storage and similar file transfer solutions in use at the time. 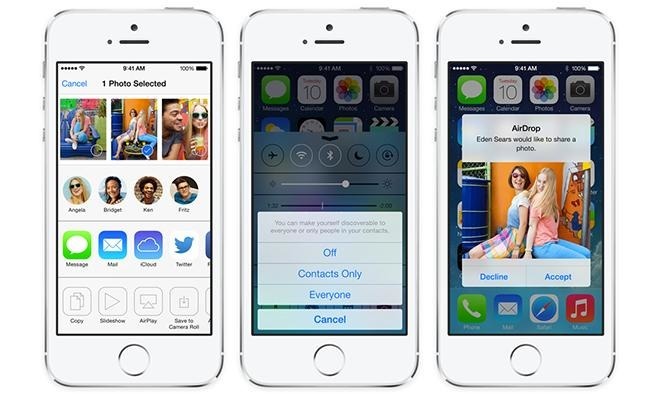 Apple later extended — and modified — AirDrop to accommodate its mobile operating system with iOS 7 in 2013. Unlike legacy AirDrop technology, the revamped version employs a dual-link structure that relied on Bluetooth for discovery and token setup, and Wi-Fi for file transfers. Again, users are presented with an easy-to-use interface in Share Sheets that features automatic device discovery and tap-to-send capabilities. The AirDrop case is the latest in a string of Uniloc lawsuits targeting Apple technologies. In the middle of 2017, the non-practicing entity went on a spree, filing suit against the iPhone maker almost once a month. Last April, Uniloc sued over Maps, Apple ID and remote software updates, while a second batch of filings homed in on AirPlay, autodialing, battery technology in May. Device wake-up, step tracking and Apple Watch were added to the growing pile last June, AirPlay and Home in July, the Apple TV Remote app in August and Apple Watch's GPS in October.